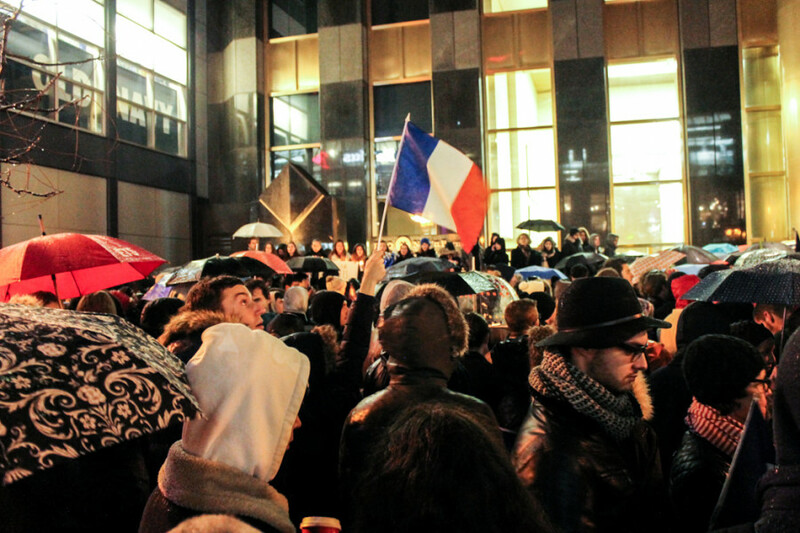 The sound of more than a hundred people singing the French national anthem in unison broke the cold air in Montreal Friday night. 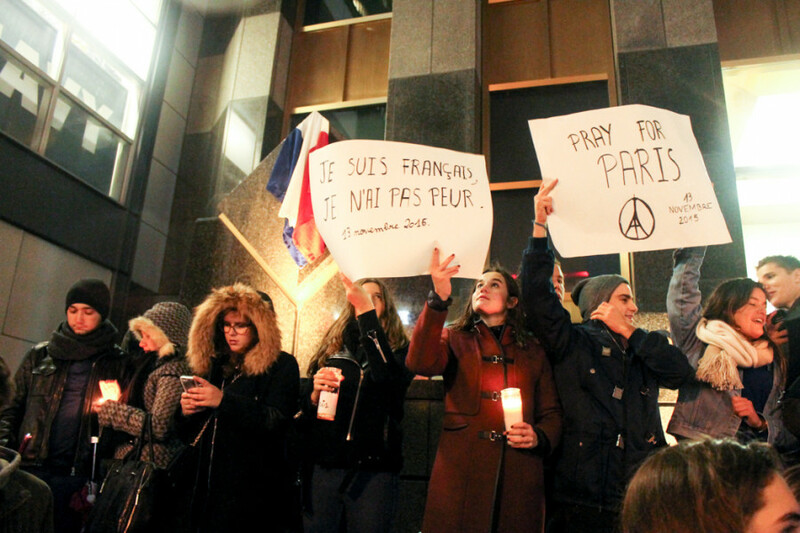 After news of the attacks in Paris, hundreds gathered outside the French Consulate on McGill College Ave. for a night-time vigil. Strangers, friends, and family grieved together under the shelter of shared umbrellas. By early Saturday morning, Le Monde reported 120 people dead in shootings and explosions that ripped through the French capital simultaneously in at least six different locations. Eight of the attackers were reported dead, including seven people who are believed to be suicide bombers. French president François Hollande announced a state of emergency soon after initial bombings, closing the country’s borders and enacting a curfew. The mood in Montreal was sombre and faces were lit by candles or cell phones as attendees checked news updates and contacted family or friends. The crowd cheered and sang together to comfort each other. 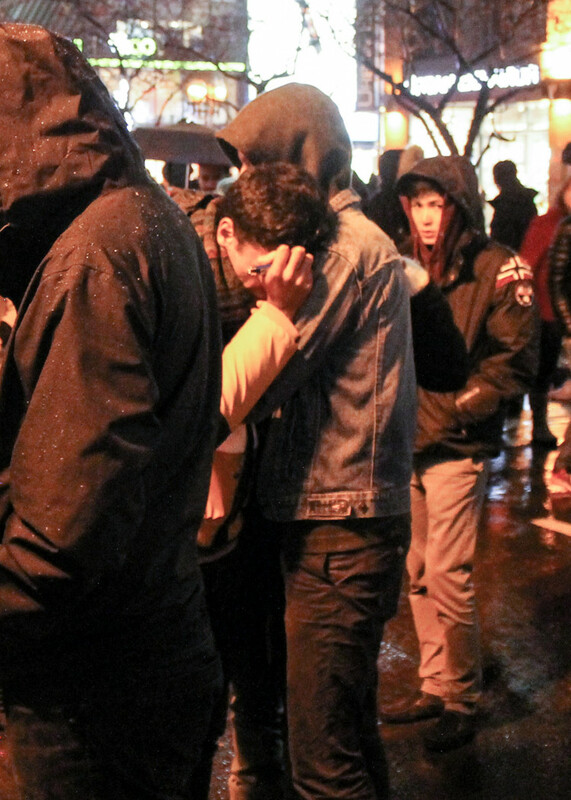 The attacks in Paris are the deadliest since World War II, and with such a large French presence in Montreal, many in attendance were visibly worried for loved ones. The crowd formed at 9 p.m., and slowly started to thin out around 9:35 p.m.